The poetry of George Wither. 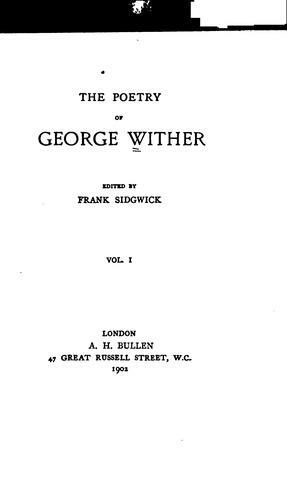 The poetry of George Wither. : Edited by Frank Sidgwick.